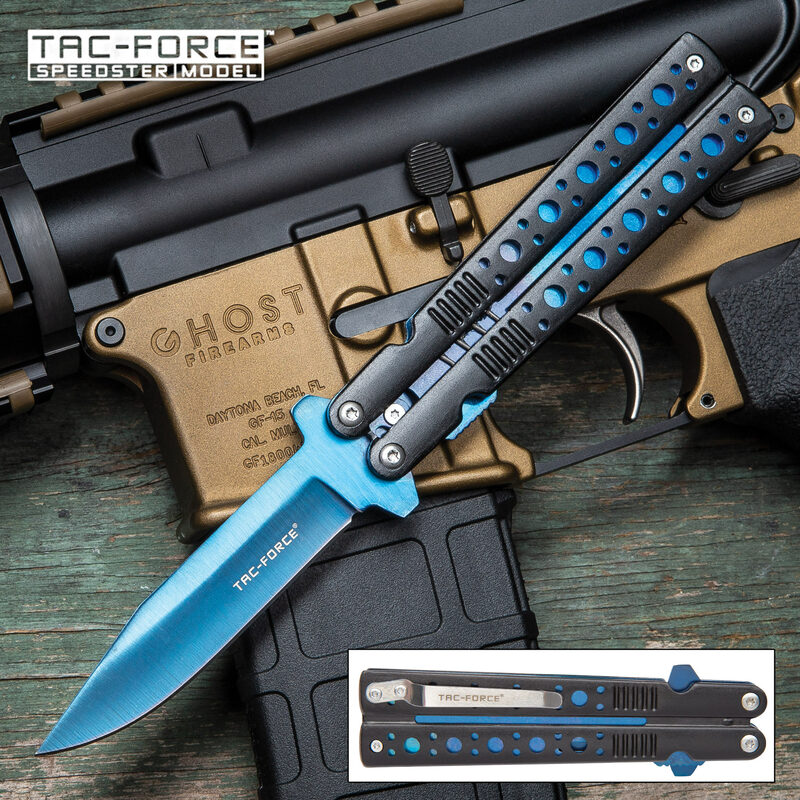 Tac-Force Blue Assisted Opening Pocket Knife - 3Cr13 Stainless Steel Blade, Anodized Aluminum Handle, Pocket Clip | BUDK.com - Knives & Swords At The Lowest Prices! 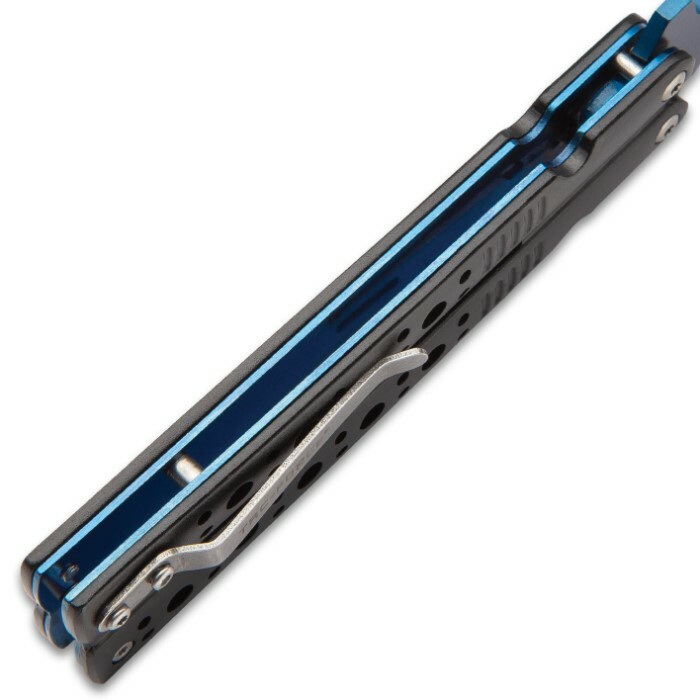 The Tac-Force Blue Assisted Opening Pocket Knife has an ultra-modern, robotic look that’s slim-lined and efficient. When you’re holding it, you know it’s going to work for you with clean cutting performance. It has a partially serrated, 3 3/4” non-reflective 3Cr13 stainless steel clip point blade, which features cut-outs below the spine. 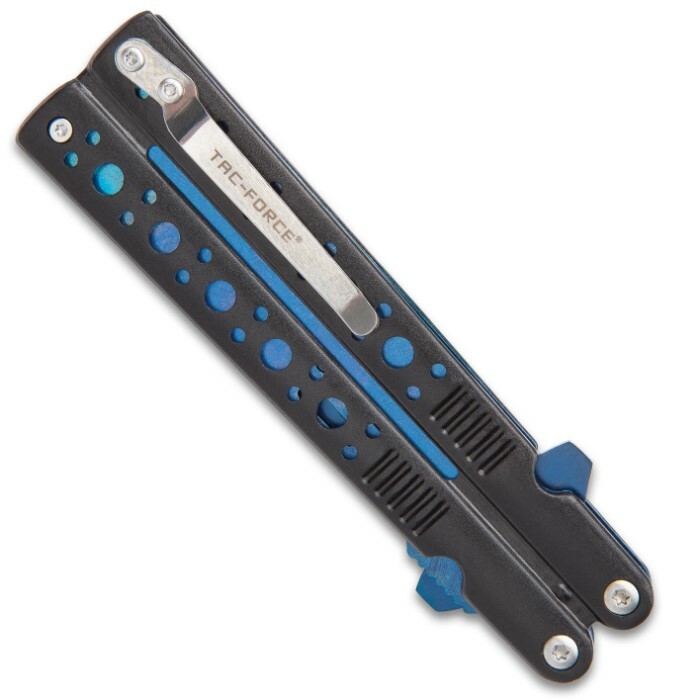 The blade can be quickly accessed with the assisted opening mechanism, using a flipper. The robotic look handle is made of black anodized aluminum with cut-outs and thru-holes revealing metallic blue liners. 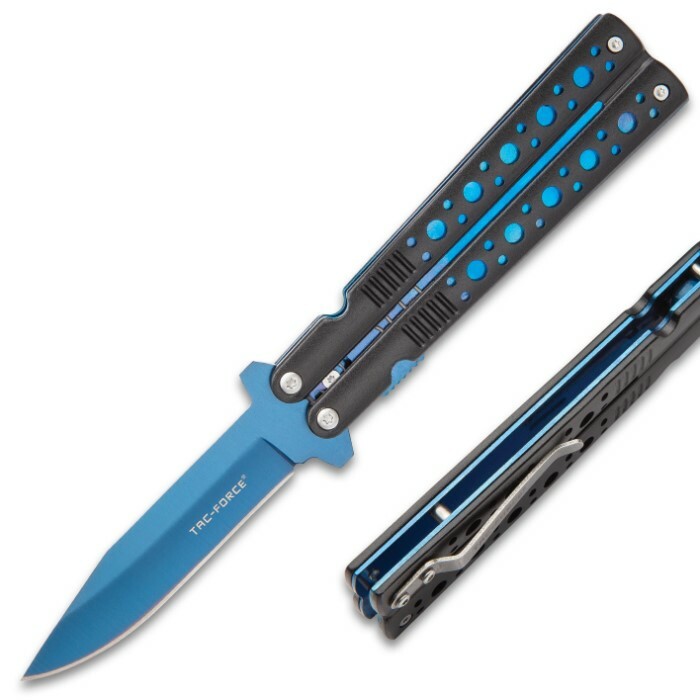 The assisted opening pocket knife is 8 3/4" overall, when opened, and has a black stainless steel pocket clip for ease of carry.